HCOLOM PRESS is the heir to Vagabond Press, which began as a main player in the Mimeo Revolution of the Sixties and continued publishing right into the jaws of the new millennium. HCOLOM PRESS embodies the spirit of Vagabond Press, retooled for the times we live in. Hcolom is Moloch spelled backwards. Moloch is an Old Testament deity to which children were sacrificed, a practice society still engages in with increased enthusiasm. Consumerism is the new Moloch, manifesting itself like cancer in war, politics, the arts and religion, in every nook and cranny of human endeavor, draining the intrinsic beauty out of life and mutilating the innocence and magic of childhood with its commercial meat hook. HCOLOM PRESS intends to publish books that by their nature repudiate this pernicious force–novels, poetry, children’s books and books that transcend genre. Our launch book, in June of 2006, was John Bennett’s novel, Tire Grabbers, a fable of sorts, a reality book rooted in the fantasy of our times, the story of the coming of Moloch and the children who rise up in rebellion against it. 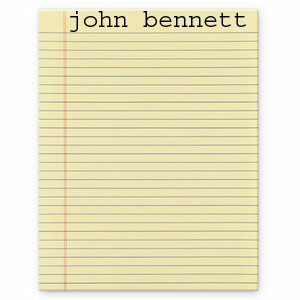 This entry was posted in John Bennett and tagged John Bennett, Poetry, the last yellow page by bennet. Bookmark the permalink.